Prepare for Hurricane Sandy NOW! Hurricane Sandy remains on target to bring life-threatening storm surge flooding to the mid-Atlantic coast, including Long Island Sound and New York Harbor. 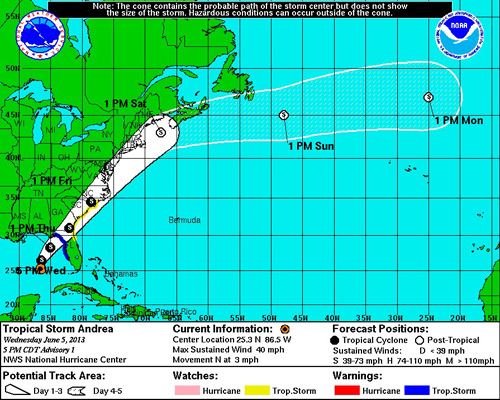 Winds of near hurricane-force are also expected at landfall. This superstorm that could menace some 50 million people in the most heavily populated corridor in the nation, with forecasters warning New York could be in particular peril. Governors from North Carolina to Connecticut have declared states of emergency. 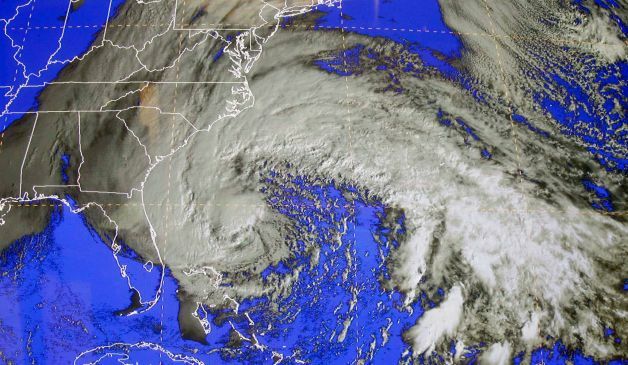 Delaware ordered mandatory evacuations for coastal communities by 8 p.m. Sunday. A mandatory evacuation order is in effect for residents in Zone A areas in New York City and the NYC MTA will shut down all subway, bus, and commuter railroad service at 7 PM, Sunday, Oct 28th. NOAA forecaster Jim Cisco, who coined the nickname Frankenstorm for Sandy, said last week: “We don’t have many modern precedents for what the models are suggesting.” The so-called “Perfect Storm” of book and movie fame was similar to this one, but that storm (in 1991) never made a direct hit on the United States but still caused hundreds of millions of dollars in damage. 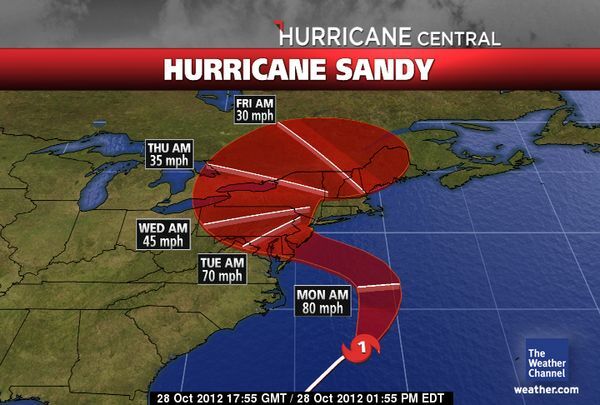 As of Sunday 28-Oct mid-afternoon, the center of Sandy is located about 575 miles south of New York City moving toward the northeast. It should turn toward the north and then northwest tonight and early Monday, and will be near the coast Monday Night. Most officials feel it will make landfall somewhere in New Jersey, but since it’s such a massive storm it will impact multiple states as it moves inland. Destructive Wind Potential – Winds will be strong over a very large area and capable of downing or damaging many trees and possibly blowing out windows in skyscrapers. Power outages are expected to be widespread and could last for days so be sure to charge cell phones and have any other supplies you may need. Wind damage will spread well inland, especially over higher terrain, due to the extremely large size of Sandy. In some areas, sustained winds of 30 to 50 mph could last for more than 24 hours. Gusts may top 75 mph. Heavy Rain Potential – Widespread heavy rainfall will likely lead to flooding problems in some areas. Rainfall amounts of 3 to 6 inches are expected to be widespread in parts of the Northeast and Mid-Atlantic with locally 10 inches or more possible. Coastal Flooding – There remains uncertainty with where exactly the worst coastal flooding is expected. In general, the most significant coastal flooding will occur to the north of where the center eventually moves inland. This most likely will extend from New Jersey to the New York City area and southern New England. According to NHC’s update 3p 28-Oct: A significant storm surge is expected to occur in the mid-Atlantic states and southern New England. If the peak surge occurs at the time if high tide, the depths above ground level could reach 6 to 11 feet at Long Island Sound and Raritan Bay, and 4 to 8 feet from Ocean City, Md., to the Connecticut/Rhode Island state line, and 3 to 5 feet from there to the south shore of Cape Cod. Heavy Snow – Yes, this setup will even wrap in just enough cold air on its western edge to produce wet snow, possibly heavy, in some parts of the central Appalachians (mountains of West Virginia and southwest Pennsylvania). Total accumulations of a foot or more will be possible. The combination of snow and strong winds will damage trees and cause power outages. The National Hurricane Center is predicting snow accumulations of 2 to 3 feet in the mountains of West Virgina, with locally higher amounts, tonight through Tuesday night. The southwestern Virginia mountains are forecast to see 12 to 18 inches of snow. Have a plan, map out several evacuation routes, and make disaster supplies kits for your home and vehicles. (And make kits for your office too.) And get some Weather radios with battery backup and tone-alert feature. Make arrangements for pets since shelters may not allow them. If you have horses or livestock, make a plan for an alternate site in case they must be evacuated. Be prepared to have enough supplies on hand for a week or 2 since these storms may knock out power in many states. Hopefully you have propane, sterno, a sun oven or other alternative ways to cook. Videotape or take pictures of home and personal belongings and store chips/cards/drives with important papers in a secure, safe place offsite. If you have time, strengthen weak spots on home — Roof: Install truss bracing or gable end bracing; anchors, clips and straps, etc. Windows & Doors: Get storm shutters or keep plywood on hand; install reinforced bolt kits or doors, etc. Garage doors: Some retrofit kits install horizontal bracing onto each panel. Secure / anchor mobile homes with tie-down systems. Secure or tie down loose items like patio furniture, barbeque grills, water heaters, garbage cans, bookcases and shelving, etc. 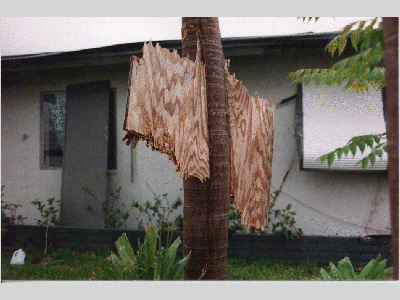 Loose items can become like missiles during high winds or tornadoes. Keep materials on hand like sandbags, plywood, plastic sheeting, plastic garbage bags, lumber, shovels, work boots and gloves. Visit your local emergency management agency website to learn how to construct proper protective measures around your home (esp if using sandbags in case of flooding). Know where and how to shut off electricity, gas and water at main switches and valves — ask local utilities for instructions. Listen to local authorities for warnings, evacuation tips and instructions. Download our free 57-pg mini ebook with tips about Emergency Plan Checklists, assembling kits for your home, office or vehicle, and dealing with Floods, Hazardous materials, Hurricanes, etc … and find more free topics from our IT’S A DISASTER! book here and please share the data with others. 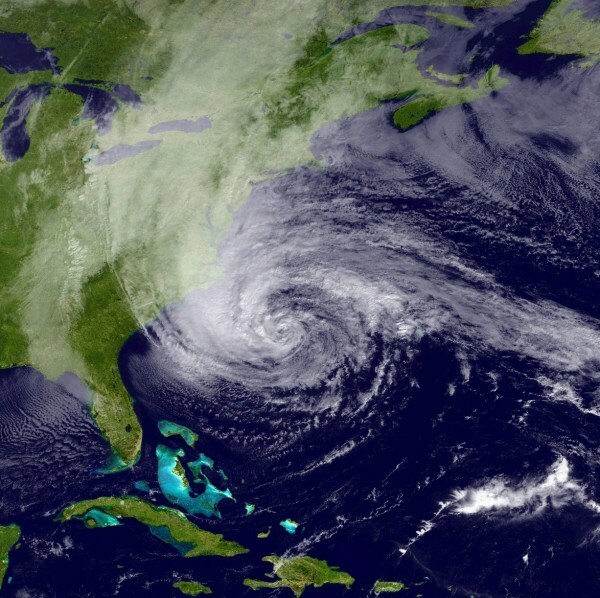 Hurricane Sandy is predicted to bring drenching rain, major storm surges (4 to 11 feet above ground level from Maryland to Rhode Island) and winds that could hit 80 mph along the east and northeast parts of the U.S. Remember … 9 out of 10 hurricane deaths are due to storm surge so please pay attention to evacuation orders. Weather.com is reporting the hurricane force winds may continue across multiple states for about 36 hours and the intensity of this massive storm is causing great concern. Plus you compound Sandy with two winter storms heading east and merging in with this tropical activity … thus you have the “Perfect Storm” (or “Frankenstorm” as NOAA forecaster Jim Cisco first labeled it). Also download some FREE topics from our IT’S A DISASTER! book about Evacuations, Flooding, Hurricanes and more … or download a 57-pg mini ebook in PDF at with Emergency Plan Checklists (including tips for pets and livestock), suggestions about assembling Home, Car or Office kits and more. And please share this post and PDFs with others. 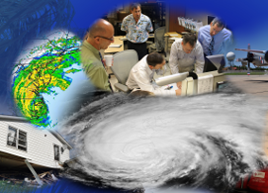 Also visit your City or County web site to find a link to your Emergency Management, Emergency Services or Homeland Security office to stay current on latest updates. Some local and state offices offer text alerts or have Twitter accounts so you and your loved ones can stay current on warnings. If you can’t find your local EM site, the following state offices along the east coast all had safety information about Hurricane Sandy as of Sunday 9am PDT 28-Oct-2012. Obviously other states not listed here have helpful data too and a complete list of State and Territorial Emergency Management agencies can be found on fema.gov. 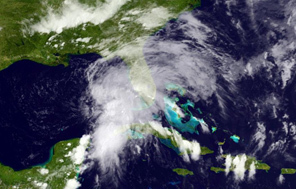 By now you’ve probably heard Tropical Storm Isaac is churning in the Caribbean and may strengthen into a hurricane that could impact Florida and other Gulf coast states in the coming days. Although 2012 has been a fairly quiet hurricane season so far, the Atlantic basin has seen 9 named storms, including 3 hurricanes, and the Pacific basin has seen 5 storms, 4 of which became hurricanes. Keep in mind the storm season officially starts June 1 and runs through November 30, but August and September historically have been the peak activity months. For example, in 2010 and 2011, 12 named storms occurred in August and September both years. And it doesn’t take a hurricane to create havoc since tropical storms and depressions can bring torrential rains, tornadoes and flooding to coastlines and hundreds of miles inland. …according to IBHS, more than half of the nation’s population now lives within 50 miles of the coast and the majority of properties there are exposed to the threat of hurricanes?! …the 2005 U.S. season broke records with 27 named storms (previous record was 21 in 1933) and 15 hurricanes (previous record was 12 in 1969)?! The National Hurricane Center states this cycle could last 10-20 more years similar to the above-average activity from the 1940s through the 1960s. 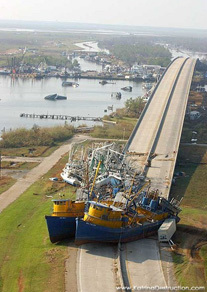 …Hurricane Irene was the lone hurricane to hit the United States in 2011, and the first one to do so since Ike struck southeast Texas in 2008?! 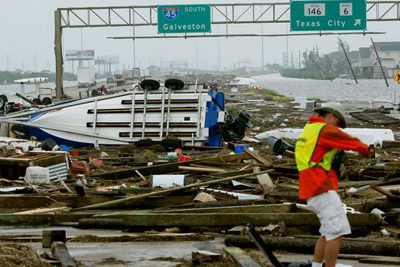 …9 out of 10 hurricane deaths are due to storm surge (a rise in the sea level caused by strong winds). Storm surges can get up to 20 feet high and 50 to 100 miles wide! Have a plan, map out several evacuation routes, and make disaster supplies kits for your home and vehicles. (And consider making kits for your office too.) And get some Weather radios with battery backup and tone-alert feature. Strengthen weak spots on home — Roof: Install truss bracing or gable end bracing; anchors, clips and straps, etc. Windows & Doors: Get storm shutters or keep plywood on hand; install reinforced bolt kitsor doors, etc. Garage doors: Some retrofit kits install horizontal bracing onto each panel. Secure or tie down loose stuff like patio furniture, barbeque grills, water heaters, garbage cans, bookcases and shelving, etc. Loose items can become like missiles during high winds or tornadoes. Keep materials on hand like sandbags, plywood, plastic sheeting, plastic garbage bags, lumber, shovels, work boots and gloves. Call your local emergency management agency to learn how to construct proper protective measures around your home. Listen to local authorities for warnings, evacuation tips and instructions, etc. Download some FREE topics from our IT’S A DISASTER! book about Evacuations, Flooding, Hurricanes and more … and please share the information with others. You are currently browsing the archives for the hurricanes category.